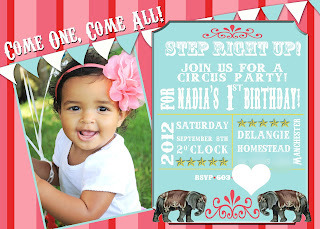 I'm trying to balance posting a few tidbits about Nadia's party without giving all the fun little details away! But I just have to share the invitation. My sister-in-law, Christy designed it, with my help/input. I found a few online as inspiration and then she combined the various elements I liked, added a few of her own, and voila! I have to say, it was so fun being able to customize it. 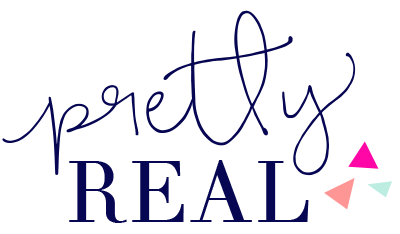 Christy hit the nail on the head with the fonts, the color combo, and the layout. 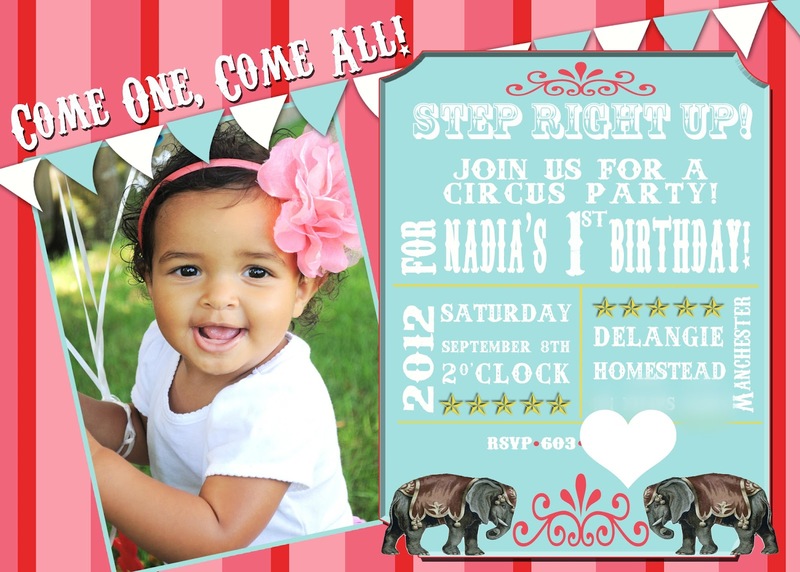 I took the photo of Nadia along with a bunch of others---I will post a few on her 1st birthday (less than 1 week away)! I guess you're getting another sneak peek--"Exotic Sea" high chair used for her 1 year pictures with her (and the ones I took). Remember how I painted one pink for Genevieve's birthday?! Then, I embellished them with the jute twine and tickets. I love the extra oomph that little detail added. I got the yellow tickets from here and reddish/pink tickets from here. I purchased the twine from here. 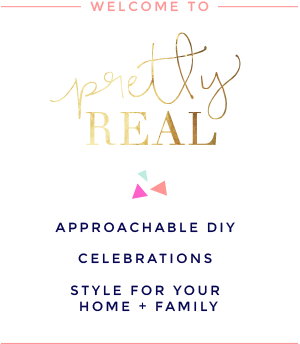 Interested in other party details posted so far? 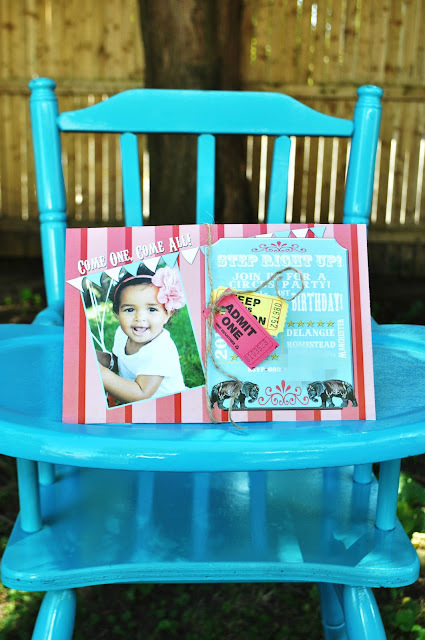 Check out this DIY cupcake stand post, this post on choosing a theme, my cute (and tasty!) 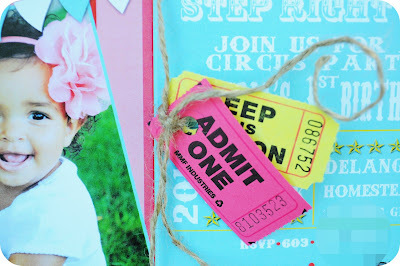 circus party finds, and my fab circus party game + party popcorn recipe pictured in this post! 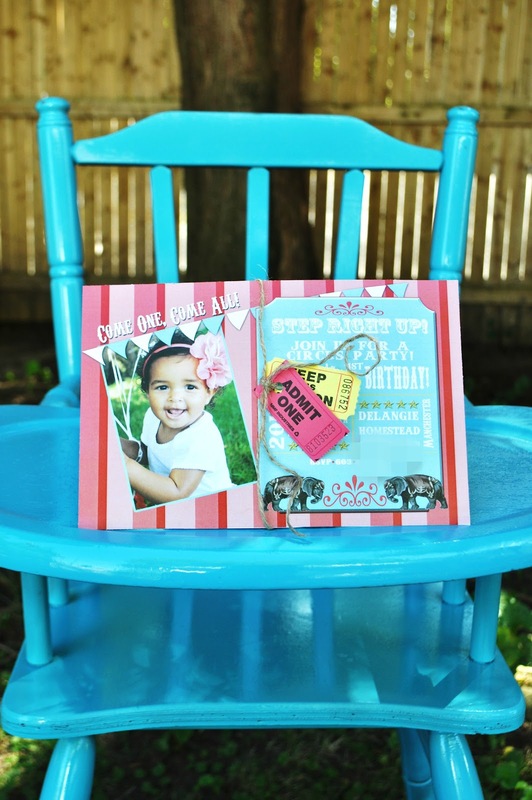 Where do you get your [insert special event here] invitations?! They came out so good!! I LOVE IT! First, you are an amazing photographer! Your daughter is beautiful beyond words and that invitation! Oh my! I can't even begin. LOVELY! I wish you were here so you could be my business partner! We would rock children's birthday parties together. Happy weekend! And it appears your comments are working! Hooray! 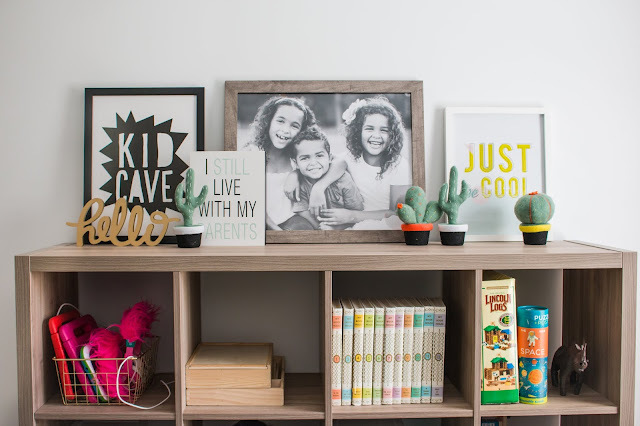 Those invitations are super adorable! Love the twine and ticket detail. Perfect touch. I have a question, if I may: Where did you get your invitations printed? 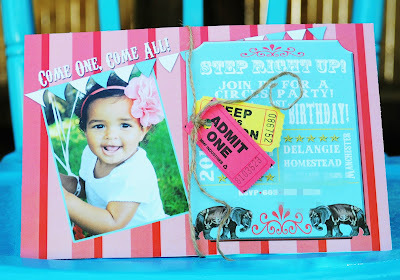 I am currently looking to have my son's invites customized as well but I don't know where to get them printed! 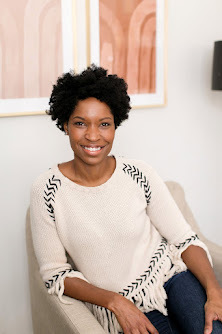 Yarmin, I had them printed at Staples but to be honest I've had issues with their quality and customer service...Lately I've been going to FedEx Office (formerly Kinkos). They are fantastic! I will definitely check them out :D. Thanx a bunch for the quick reply! Does yor sister in law have an Etsy shop for her cards? not yet but if you want her info email me at tiffandmeg@gmail.com and I can get it to you. I know she's planning on opening a shop so if you're interested in the circus line or book party line she may be interested in selling!